The Kneel & Spin focuses on trunk rotation and upper body strengthening. 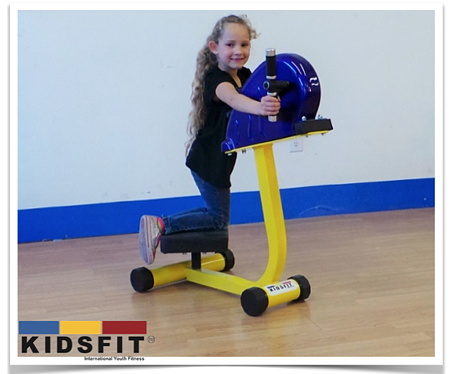 By engaging the muscles of the core, children are able to rotate the entire body on a pivoting platform while simultaneously pedaling the hand grips forward or backwards using the upper body. This is an excellent piece of equipment for “de-conditioned” exercisers to achieve success in their exercise program.